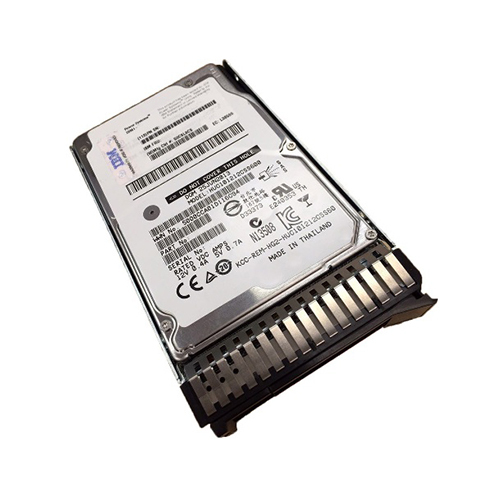 The IBM AHF4 with part numbers 00RX908, 00RY111, 00WY600, HUC101818CS420 & ST1800MM0008 is a 1.8TB 10000k RPM SAS hard drive for use specifically with IBM Storwize V7000 and Storwize V7000 Unified Disk Systems. Whether you’re upgrading your IBM enterprise storage or simply looking for a replacement hard drive, we have what you need. If you don’t see the part listed that you’re looking for, please use our Contact Us form; as we have many parts in inventory that are not listed. Please note that all IBM hard drives sold by SPS Pros are used / refurbished, fully-tested, and backed by a 60 day warranty. The IBM 00RX908 600GB 10K SAS HDD is also known by part numbers 2076-AHF4, 00RY111 and 00WY600. IBM 00RX908 delivers best-in-class capacity and performance in one small form factor hard drive. The IBM 00RX908 is a 10K RPM enterprise-class HDD that stores up to 1.8TB of data, 50% more capacity than prior generations, plus delivers best-in-class active and idle power efficiency, enabling next generation data centers to keep pace with digital data growth and improve space and power efficiencies. Data center architects can also leverage best- in-class performance on the IBM 00RX908, achieving up to 2.5X better random write performance and 23% faster sequential performance over prior generation 2.5-inch SFF 10K RPM HDDs for demanding 24×7 enterprise workloads. These drives are dual-port, hot-swappable, and support data transfer rates of up to 12 Gb per second when installed in Storwize V7000 Models 524, 12F, and 24F. They support data transfer rates of up to 6 Gb per second when installed in all other Storwize models. Low latency for faster access to data. Improves performance for faster data storage and access. 24 bay models of Storwize V7000 enclosures: 2076 Models 124, 224, and 324.